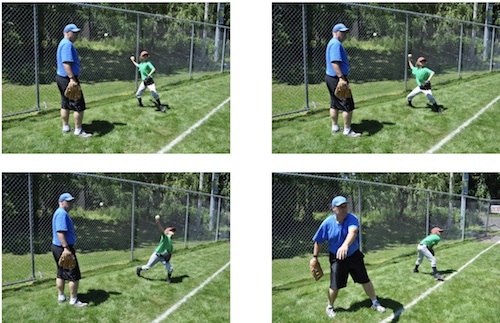 When teaching throwing, coaches and parents must realize that there are different stages between the ages 3 and 8. A t‒ball player’s skill level will vary. When teaching throwing, it is imperative that throwing is the only skill being worked on and not catching. A very important aspect of throwing is called the “rule of opposition” when the player steps with the opposite foot of his throwing arm. If the player throws with his right arm, he should step with his left foot forward. 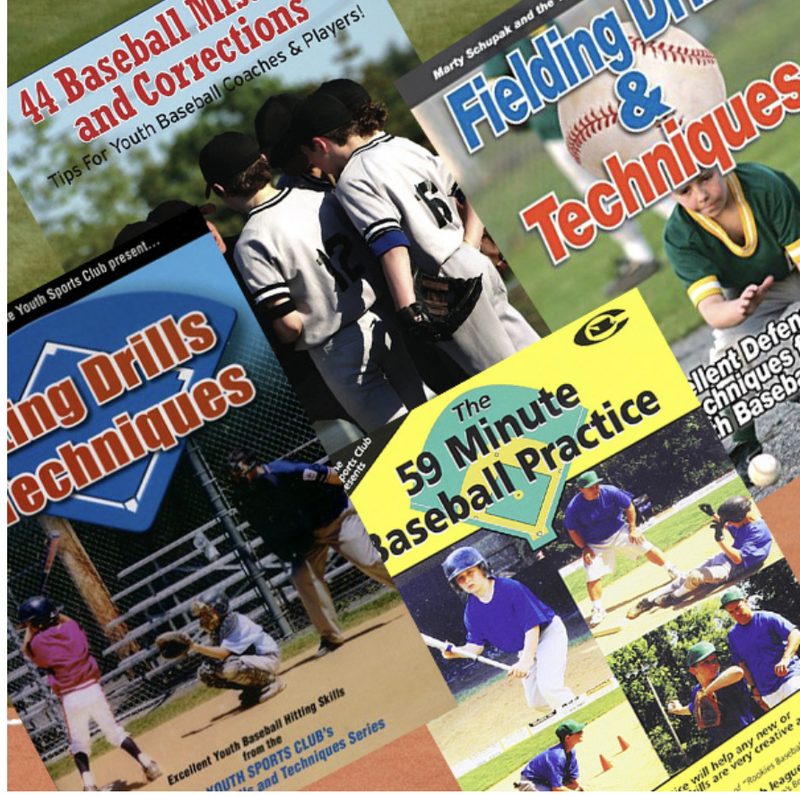 A phrase that is often used is “Step, turn, and throw.” Coaches and parents should look for that elbow to lead the arm and the bending of the arm at the elbow and a kind of wrist snap upon release of the baseball. Coaches and parents are encouraged to use different items so players will become familiar with how objects with different weights will vary. A tip is to first have the player face the ball away from the body then turn the wrist to face where the throw is going. Another tip is for kids that have a tendency to throw side arm. Move them close to a fence and throwing from that spot will force them to come over the top.